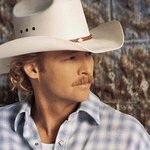 Alan Jackson is a multi-award winning country artist. He is an avid supporter of the Red Cross, Angel’s House (which provides a safe and secure environment for children so that emotional healing and development of personal and family living skills may occur), and Monroe Carell Jr. Children's Hospital at Vanderbilt. Google trends for "Alan Jackson"
We don't have any videos related to Alan Jackson.